Being a module of the Kinetic system, the Kettler double cable pull Kinetic is a training equipment of versatile use. 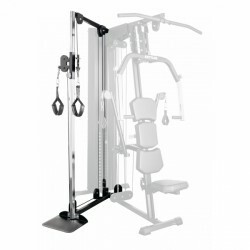 The cable pull is mounted on the side of the Kettler basic station and is connected with the weight block via a cable pull system. The weight block is equiped with a weight of 2 x 50 kg. 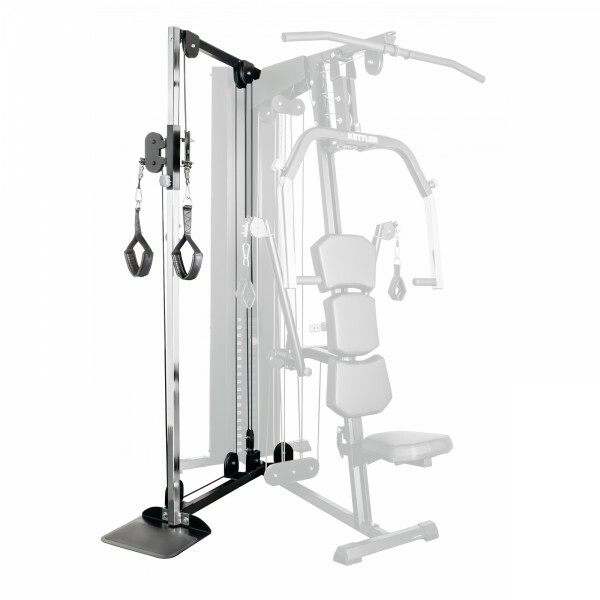 The cable pull can be variably and flexibly used thanks to the height adjustment.